Crackdown 3 is no longer an Xbox One X launch title. Microsoft Studios publishing general manager, Shannon Loftis, told Polygon that it was a difficult decision. 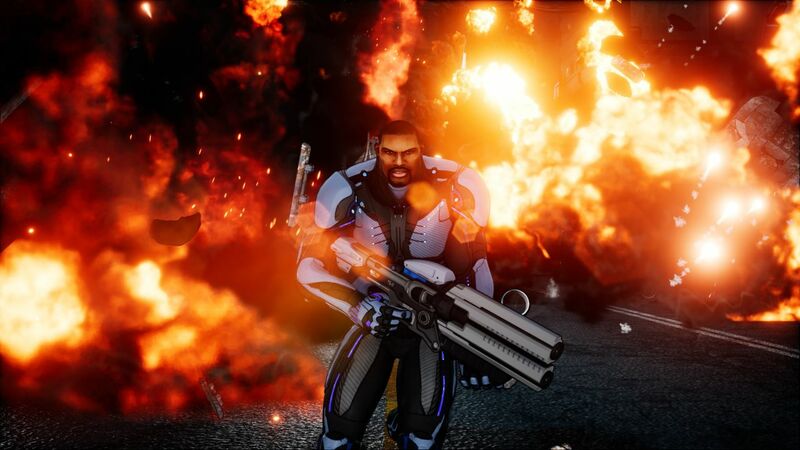 “Crackdown 3 is a hugely ambitious game and we want to ensure we deliver the right experiences all the way through every part of the game, whether that’s campaign, co-op multiplayer or our competitive multiplayer mode, Wrecking Zone,” said Loftis. In particular, Loftis mentioned the game’s visuals among the features in need of work. Microsoft released mostly off-screen footage of Crackdown 3, and the game was criticised for looking, well, ropy. “Among other items, we are taking the extra time to focus on the visual polish so gamers can feel completely immersed in a living world. We want them to really feel the larger-than life enemies as they’re exploring the expansive open world, combating crime and collecting orbs,” added the executive. Early impressions of the game’s most recent build at E3 2017, were largely negative. Many expressed disappointment that the destruction technology Microsoft talked about so much in the past will be kept to multiplayer. This effectively means the only first-party game Microsoft has lined up for this year is Forza 7.